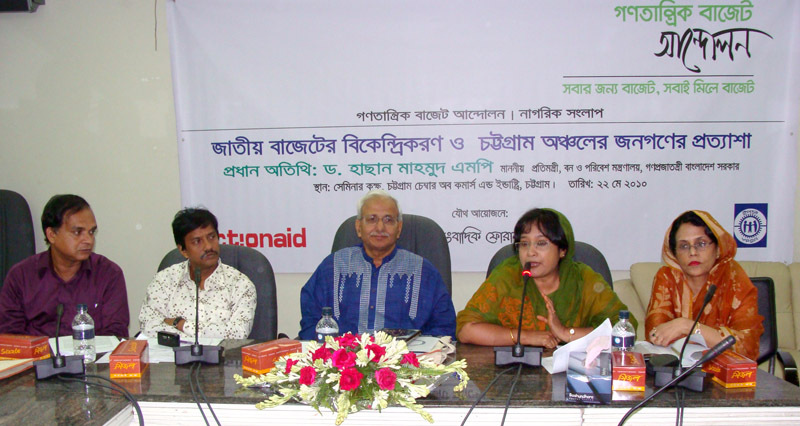 YPSA, Unnayan Shangbadik Forum and Action Aid Bangladesh jointly arranged citizen dialogue titled “Decentralization of national budget: Expectations of people in Chittagong” at Chittagong on 22 May. “Chittagong is the main hub of national economy but Chittagong had so far been deprived in the national budget. Without decentralizing the whole process of national budget, we can not alleviate the poverty. People from all levels should be engaged in the budget making process” speakers said in the dialogue. Begum Chamon Ara, Member of Parliament was the chief guest in the program. Omar Kaisar, President of Unayan Shangbadik Forum, Chittagong and journalist moderated the dialogue. Representatives from civil society, NGOs, Local government, grassroots people, journalist teachers, and businessman participated in the dialogue.